MARQUETTE — The Marquette Housing Commission maintains two different affordable housing options: Pine Ridge Apartments and Lake Superior Village. But what exactly is income-based, or affordable, housing? Many people associate “income-based” or “affordable” housing with “low-income” housing, which isn’t the case. In the Marquette area, a family of four needs to have a household income of $48,500 or less to qualify for affordable housing. “For many years, I was in that boat and I probably should have been here. I wished I would have applied years ago,” said Fogaroli. In fact, some see income-based housing as a way to start over. Kaylee Comment and her family, including daughters 13 year-old Mackenzie, 10 year-old Makalynn and 20 month-old Kinglsey, have been living in one of the units at Lake Superior Village for about two months. “We owned our home before and we needed to kind of start over, rebuild credit kind of thing. 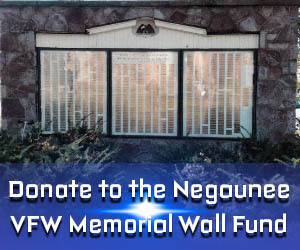 This seemed to be the place where we could probably save a little money and secure the future for now,” said Comment. Comment also lived there once before, when she was an 18 year-old single mother, before being able to afford her first home, so she was already familiar with the property. Another reason the family chose Lake Superior Village was because of its convenient location to their old house. Sheri and Eric Kromberg also chose income-based housing because of convenience. The couple has been living at Pine Ridge for seven years. Their first experience with Pine Ridge was actually through Eric’s mother. “We would come and spend time, and as her health started to decline, spent more and more time here, helping her. It got to the point where she was not able to be here by herself,” said Sheri. The Krombergs then applied to live at Pine Ridge and were accepted, so the couple moved in with Eric’s mother into a two-bedroom apartment. Although she no longer lives with them, Eric and Sheri have remained in the same apartment to this day. The affordable housing experience can be different for couples or single-individuals and families. Typically, those who qualify for two-, three- or four-bedroom apartments live in Lake Superior Village, while one-bedroom apartments are maintained at Pine Ridge, although there are few two-bedroom and one three-bedroom apartment there. Between the two properties, there are 257 spaces for people to live in. One myth of living in income-based housing is that the properties are junky or cheap. The Marquette Housing Commission also employs a “second-to-none” maintenance staff. Another myth is that living in affordable housing is a permanent situation or that people grow up in income-based housing and it becomes generational. Of course, there are positives and negatives for income-based housing. According to Sheri Kromberg, the benefits of living in income-based housing are numerous. For Comment and her family, it’s that many things are included in their rent, so they only have to keep track of one payment. ” It takes away from the stress of on top of having three kids, worrying about all the other expenses and utilities and other bills that come with the cost of living,” she said. Fogaroli and Maki believe that the real benefit comes along with rent being truly income-based. “If you do happen to hit a hard time and you do happen to lose your job or you’re in the middle of changing jobs so that you can get something better, we do adjust your rent with your income in those events,” said Fogaroli. “If you’re out in the private market and you lose your job, your landlord is still going to charge you $900 a month for that two-bedroom here in Marquette. If you have a two-bedroom through ours, it’s going to be strictly based on how much money you’re making at the time, so that’s a huge advantage to families,” added Maki. As for drawbacks, both tenants and housing commission staff agree that the pros greatly outweigh the cons. “The vending machine down in the lobby can be a detriment sometimes. You know, there are very very few downsides that I can even think of,” said Sheri. “I haven’t really come across any yet. Everything has so far ran pretty smoothly and going pretty well, so hopefully, this is the right decision, which so far, it has been,” said Comment. “I perceive the drawbacks as being similar to any other lease. Where most landlords ask ‘Are you employed?’ we ask ‘What is your employment?’ and we ask for additional documentation to verify employment,” said Fogaroli. 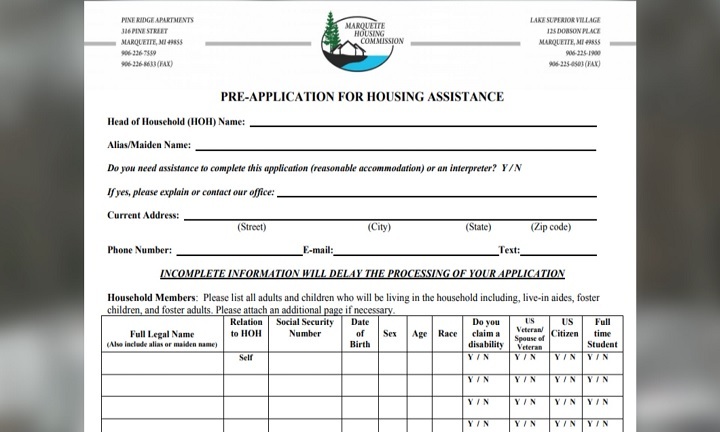 The only way to find out if you or your family is eligible for income-based housing is to fill out the application, which is available on the Marquette Housing Commission’s website or at either location. After filling out the form, applicants are added to the wait list. “If they are added to our wait list at that point, then they are called back for part two, where we do more of an interview-type situation and gather all of their information to determine final eligibility and housing eligibility,” said Fogaroli. The second step includes both credit and a criminal background checks. Management said they have recently improved their screening process. “We’ve really changed our screening process of tenants. At one point, we weren’t screening people real carefully and now we are and that’s given us a much higher quality of tenants,” said Maki. Being on the wait list does not always guarantee that applicants will eventually end up in income-based housing, however. “There are preferences to families who are fleeing domestic violence or who are homeless because we are in the business of housing families and individuals. We’re not in the business of making people homeless or keeping people homeless,” said Fogaroli. If applicants are wait listed, it isn’t the end of the road, however. The process may be thorough, but Comment and the Krombergs think the end result is the right choice for them and their families, whether the choice is temporary or permanent. For more information the Marquette Housing Commission, click HERE.